These days, most of my writing has been about My90. Learn more here. Senior honors thesis at Brown University from 2010. Later used as required reading at Roger Williams University and presented at the 2010 Haitian Studies Association Annual Conference in Providence, RI. Haiti’s environment has been in crisis for decades. The Haitian government has incorporated sustainable use of natural resources, environmental conservation and natural disaster risk reduction into every aspect of the nation’s official development plans in recent years. Why then, has there been no large-scale environmental work done at an institutional level? The answer lies in Haiti’s complicated relationship with the international community, and its heavy reliance on foreign aid. Using mechanisms such as conditions and sectoral funding, donors are able to influence the Haitian government to promote their own development plans, and their own political agendas. By operating within a cycle of blame, disasters and foreign aid, the international community has contributed to the destruction of the Haitian environment. As a result, the impact of natural disasters is more severe in Haiti than in nearby countries. The January 12 earthquake has been declared the worst natural disaster in human history, with up to 300,000 deaths and damages totaling 120% of Haiti’s GDP. Only by understanding the dynamics of foreign aid can donors be most effective in helping Haiti rebuild and in reducing the impact of natural disasters in the future. 5 Ways to be a Fearless Leader, on Switch & Shift. This article won the My Story Millennial Campaign contest series. Happy to have the chance to guest blog on the website of our partners at One World Futbol, makers of the virtually indestructible soccer ball! A guest post on the difference between ‘basic needs’ in the USA and Haiti and how it affects productivity and impact. 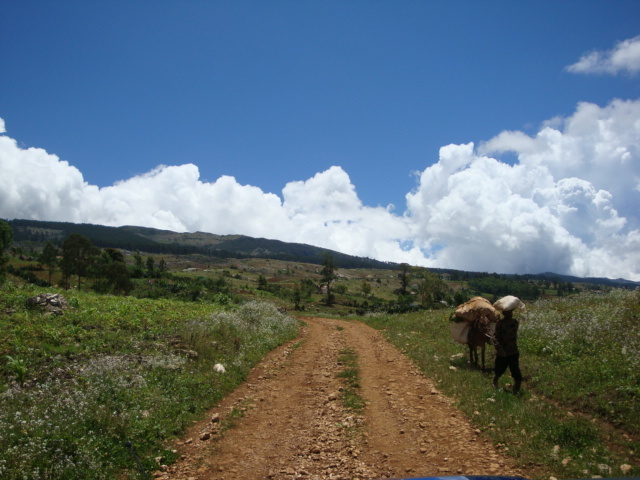 Field report from Haiti following the 2010 earthquake…full article at Daily Kos. United States Institute of Peace 2006 national winning essay, “Defusing Nuclear Tensions Through Internationally Supported Bilateral Collaborations,” compares the decision of Argentina and Brazil to forego nuclear arms development with the nuclear arms race between India and Pakistan.